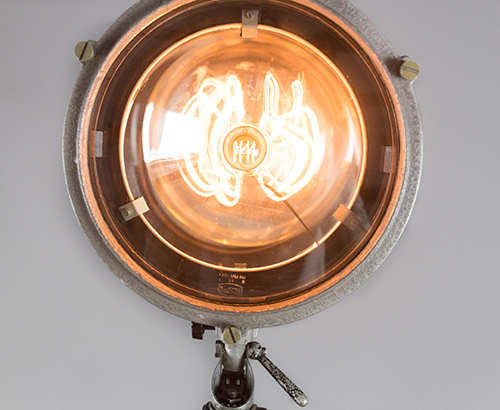 The Great Horned Owl is defined by its grey cast-aluminium body and glass window with mirrored reflector. 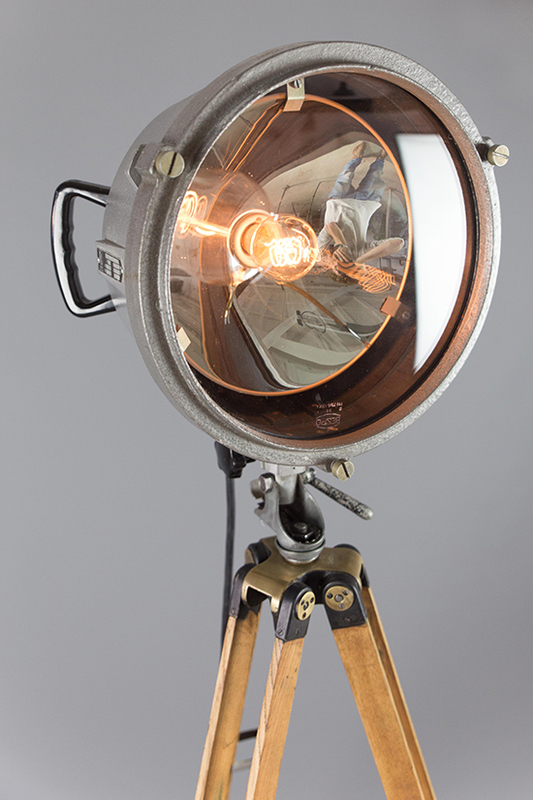 The mirrored reflector creates the most beautiful light when the spotlight is turned on. 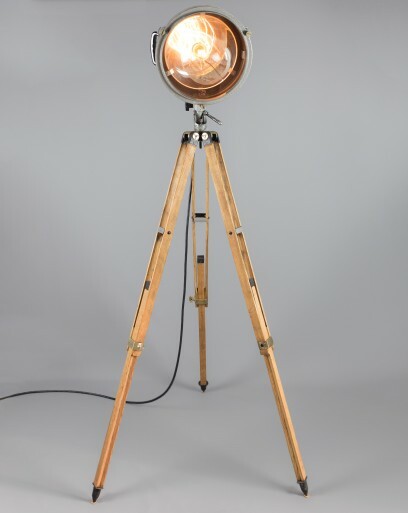 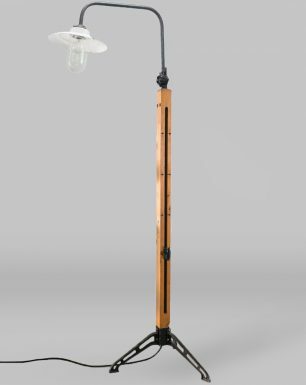 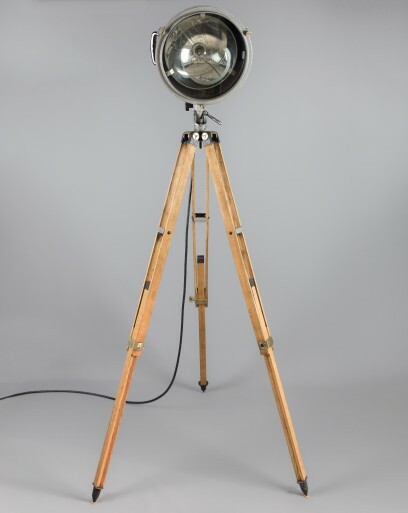 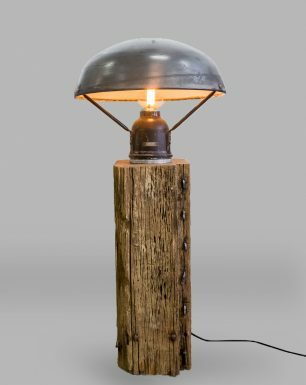 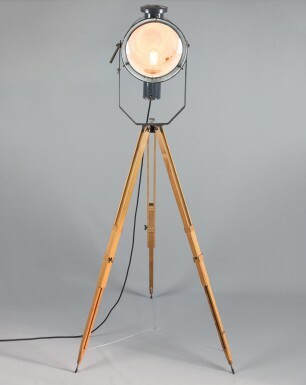 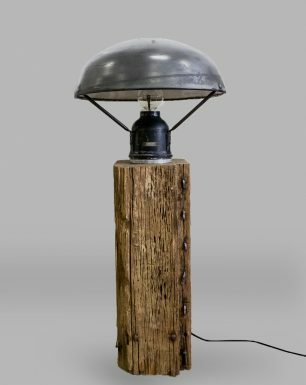 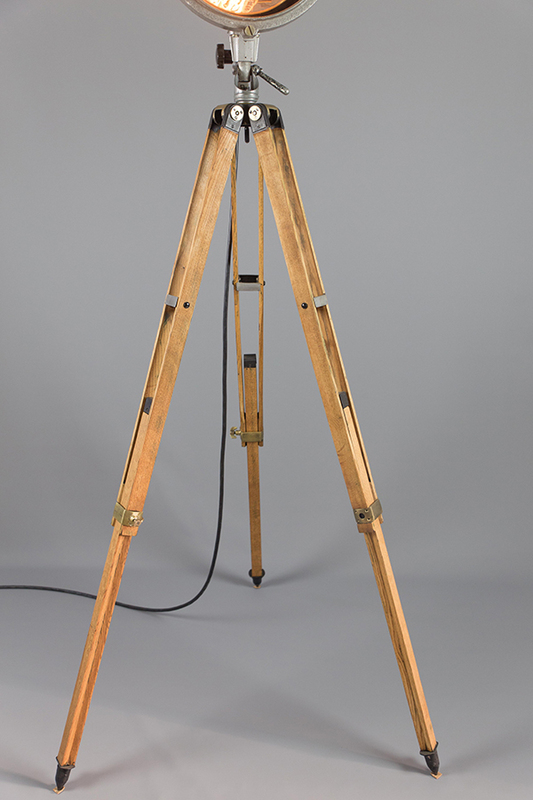 We featured the fixture with a special deco-bulb, and placed it on a beautiful oak tripod with brass parts. 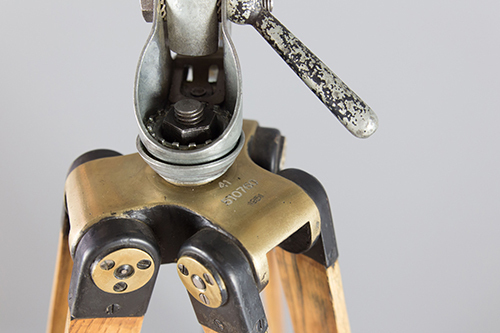 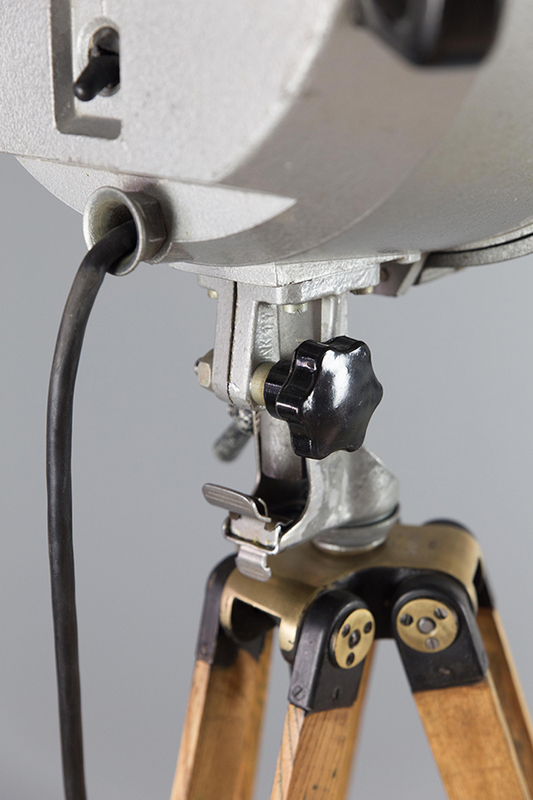 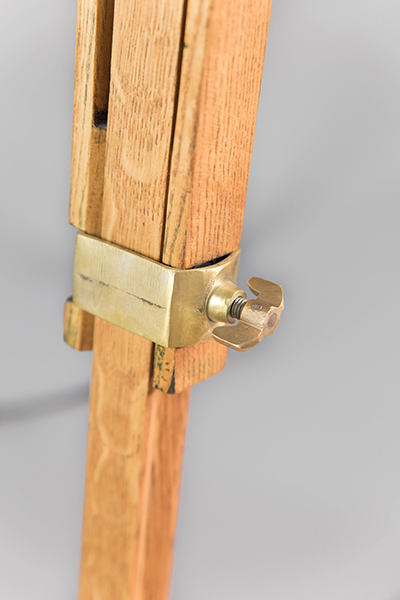 This tripod has some fine brass parts, that have been smoothed to give them back their natural shine. 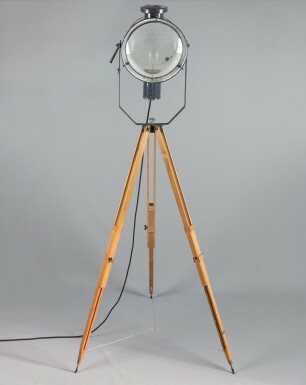 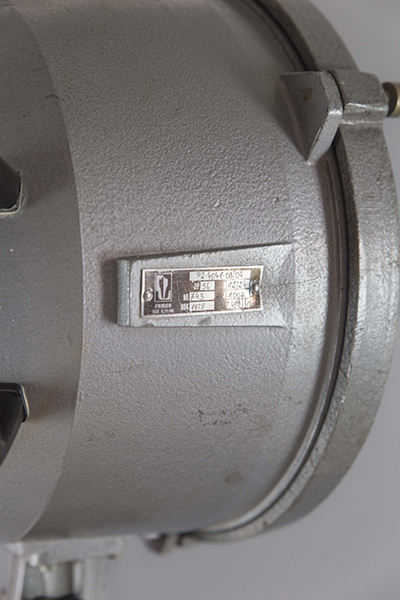 The fixture was manufactured in Poland by Famor, and often used by the Germany army. 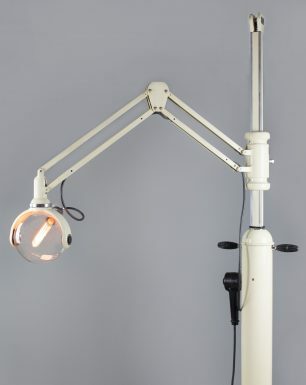 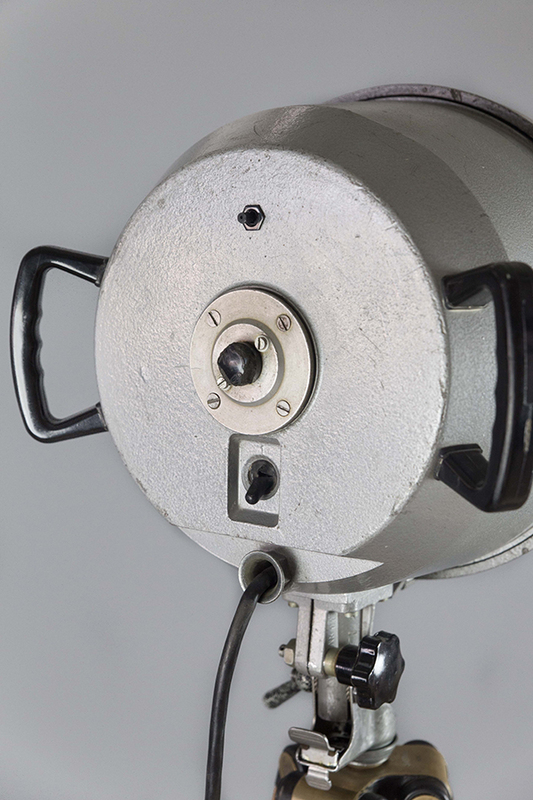 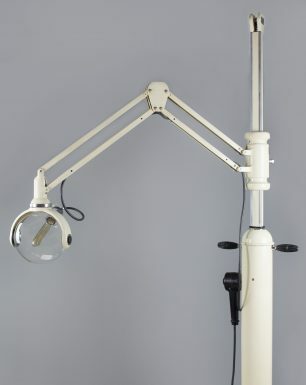 The handle bars on the side of the fixture made it possible to point the spotlight where needed.